While the main images sets (color, b/w, and gray scale) will work find with Adobe Illustrator, there are many extras in this new release that are designed to be edited with the free "Inkscape" vector graphics editor. 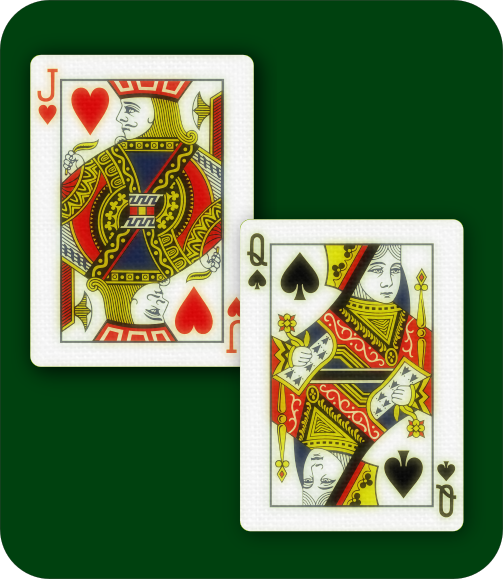 I strongly recommend it as the best (and freely available) way to edit these playing card vector graphics. I'm a bit beat now, but I'll soon post some demo images of some of the updates. Some details of the updates can be found here. Two proper Jokers added, one with a colorized version. Alternate B/W Set added with hollow red Pips for visibility in printing. I have several updates planned, with a the most pressing involving a tool kit to assist in prototyping card gaffs. Expect that one in 3-4 months, or perhaps sooner. 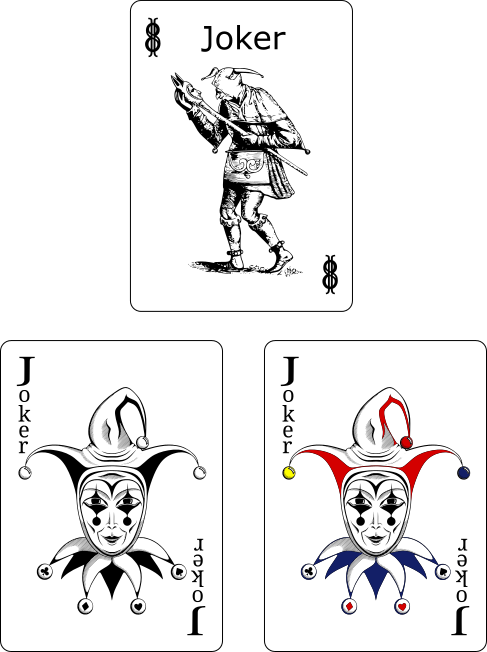 The main set of cards (aside from a lot of internal issues, spacing, etc) looks pretty much the same externally, but the many filtered face sets (designed for use with the free Inkscape program) can attain some very different looks. Here's my attempt to get a bit away from the digital look and go for something worn and faded looking. If you look closely, these have dimpled surfaces like real cards. One major advantage of all the internal cleanup of the vectors for the set is that I can now do really nice quick, custom face coloring using only automated tools and a little bit of judgement. Here are two simple examples (red and green), which have full sets included in version 2.0. Re-posting the new Joker designs from a previous thread so as to have them here in the official update thread. 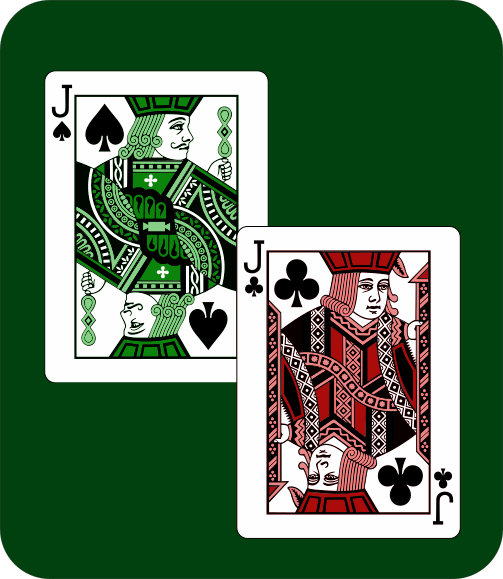 Version 2.0.1 has now been released with some fixes to to the King of Spades (all sets) removal of layers (for compatibility/convenience) and some other minor tweaks. Version 2.01 has some slightly different metrics (slightly smaller pips, spacing) that I chose for purposes of enhancing the readability of the cards in print. I had one of the more active card gaffers out there voice a legit gripe that the set no longer hews as closely to the standard faces as he'd like, thus making the set a bit less useful in terms of prototyping (or heck even outright using) the set for printing custom gaffs. Hey Chris - Did you ever get the "magician friendly" version of the cards done? There are some gaffs I might want to print up. The "magician friendly" version got about half done and then kind of stagnated. Same thing with some nice new patterned backs. Let me know what kind of gaffs you're interested in and maybe I can work something up for just those. Of course, I'm not ever offer a bike back since that's all off limited (i.e. trademarked). I've considered doing a similar generic type back just for giggles. That's somewhat daunting though. I did just replace my previously broken graphics tablet, so perhaps it's time to revisit this. Looking at the current revision, I might have to push out a quick point release to resolve some issues with the latest version of inkscape causing some odd behavior. A few years back, I assisted with a project that ended up using plastic cards from the makeplayingcards site and the quality was top notch. Working on some new card backs, some simple patterns, plus a few that are more complex. I really hate the backs I have in the set now and hope to offer a smaller better set for the upcoming revision (2.5). Not looking for super fancy backs, but want some that are very solid and look nice when used in videogames (apps generally) or printed. * "Soon" subject to my sometimes whimsical definition of the term. I don't object to the concept of a deity, but I'm puzzled by the notion of one that takes attendance. Depending on the back (probably something "bike-like" with a lot of detail) I bet there's a few ways, probably using very visible "Ted Lesley" type of marks, perhaps splitting the two digits of each # to two different parts of the card that would still be visible at the same time. Hm. definitely food for thought. Would love to have a marked back of some kind once I get a few of these new backs ready to go. I am really looking forward to this...over time, I've tried most of the DIY gaffs. The rub-on transfers, splitting cards, etc etc. It's fun to create these, but a really complex back is incredibly tedious to put together, much harder than I thought it would be due to the density of details needed. That being said, I really look forward to completing the most complex one, so we'll have a good basic template to play with while maintaining a somewhat familiar look. Wouldn't you have to do one back that could be marked by hand? I assume the services that print cards don't let you do a different back for each card. Bill Duncan wrote: Wouldn't you have to do one back that could be marked by hand? I assume the services that print cards don't let you do a different back for each card. Good point, will have to research that. This range offers extra room for creativity - print your image files on both sides and decide how you want to customize e.g. same image for each suit/number, different/same image for each card, or even each card individually customized both back and front. I played with this last night - you can upload 54 individual back designs as well as 54 faces. Click the "Start Your Design" button to see the process.